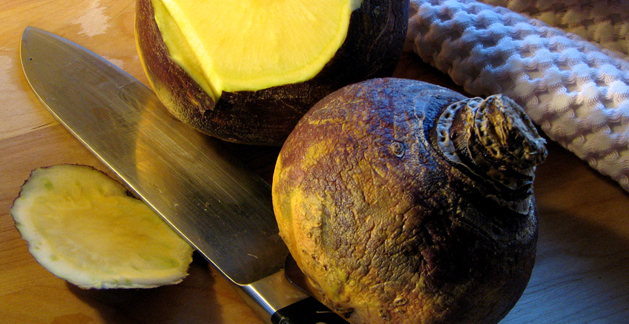 The origin of both the rutabaga and the turnip is probably in Sweden. The rutabaga and turnip are similar in flavor. Rutabagas can be washed, prepared and cooked similarly to the potato. The rutabaga makes an excellent addition to vegetable soups, imparting a nice, gentle tang to the overall flavor. Rutabagas can be mashed with butter and cinnamon, blanched for tempura or mixed with peas and carrots.